Red Line Assembly Lube is designed to be used as a lubricant to apply to potential wear surfaces before assembly in order to prevent metal contact upon startup before adequate lubrication is supplied. Red Line Assembly Lube will mix with the oil and not plug filters. 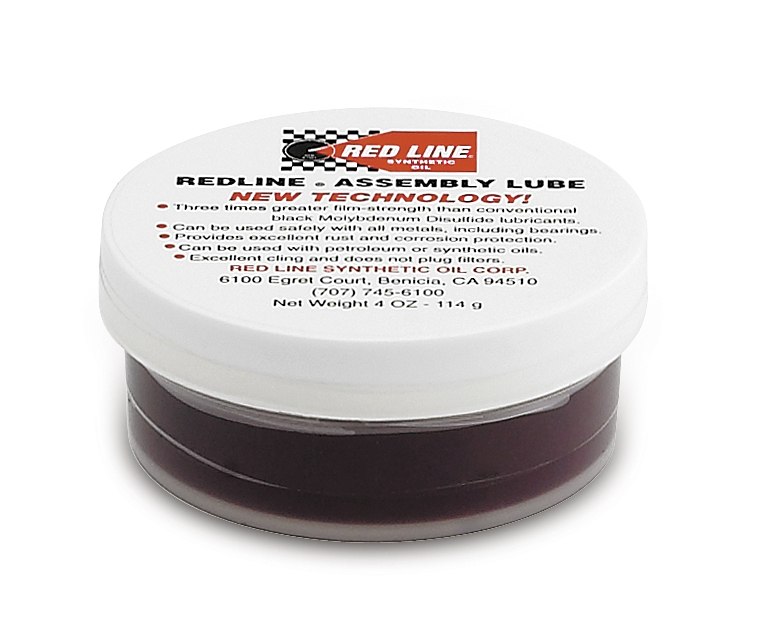 Red Line Assembly Lube can be used on all lubricated parts such as cams, followers, pistons, and bearings, and bolt threads. Use only a small amount on bearing and piston surfaces too much can make it difficult to turn over the engine. Do not use on exhaust bolts or other high temperature bolts which require an antiseize.